Ray J, Whitney Houston’s on-off boyfriend has revealed he looks at a picture of the singer on his phone for comfort. 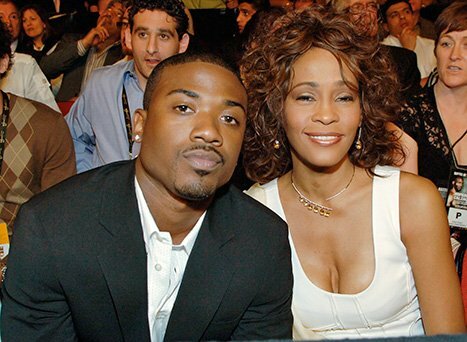 Ray J, 31, who previously dated Kim Kardashian, said he is still in pain after a “tough” few weeks since Whitney Houston’s death. The hip hop singer, who dated Whitney Houston off and on for a number of years, said: “I really miss my friend. “I really do, I’m still hurting. I just want to say, like Whitney, I love giving back to the kids. “It’s just such a tough time for me. I’ve been through a lot in these past two weeks. “I may have to look at life in a whole different way. “This is all new for me. I’m really emotional right now. “What I will say is that I loved, and I’m hurt. Ray J was speaking at a Brotherhood Crusade/Mothers in Action press conference on Friday. The singer and actor donated several items to the charity, including school supplies and clothes.